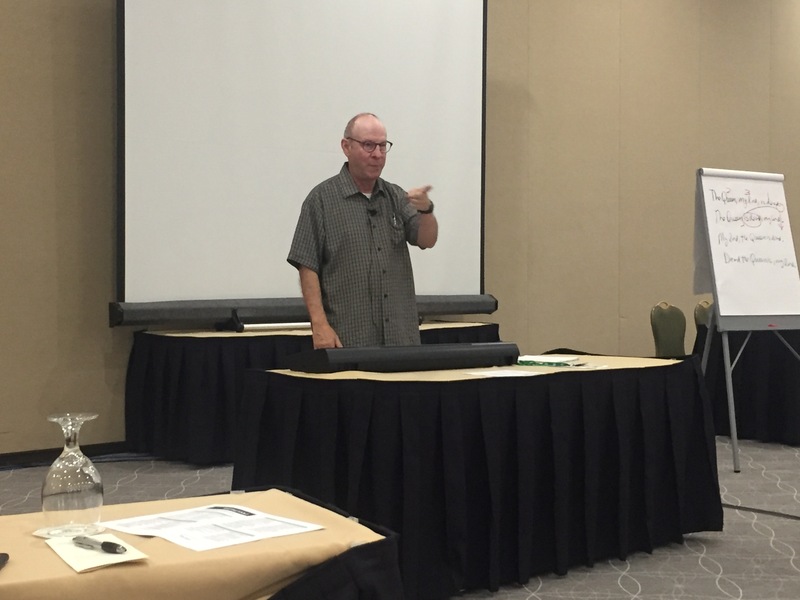 One of the highlights from the 2017 TOCA Annual Meeting was the writing workshop hosted by Dr. Roy Peter Clark, senior scholar emeritus, musician, author, editor, and Poynter Institute writing instructor since 1979. The presentation began with a musical performance and a comparison between great writing and music. 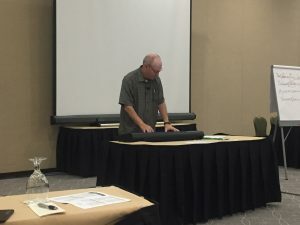 “All creative acts have a connection,” according to Dr. Clark. Great writing, like music, can seem like magic, but when we break it down and study each part, we can see the strategy behind the magic. Together, we studied writing samples and broke them down to analyze the strategies at work. Dr. Clark shared several writing tools to help us create magic with our own writing. Below are the five writing tools he focused on during the TOCA workshop, and you can find 50 in his book -- Writing Tools: 50 Essential Strategies for Every Writer. Place strong words at the beginning and the end. Perhaps the most powerful writing tool shared by Dr. was this concept of word order. Start sentences and paragraphs with strong words, hide the less important details in the middle, and place strong words at the end. The period, or “full stop” as it is appropriately named in British English, acts as a stop in your writing. Anything placed right before it will receive special emphasis whether you want it to or not. Make it count. Prefer the simple over the technical. User shorter words, sentences, and paragraphs at points of complexity. The presence or absence of whitespace in a text will lead readers to draw conclusions even before they begin reading. A dense article about a complex topic with long sentences and little white space can be overwhelming to a reader. Breaking up the writing up with white space between shorter words, sentences, and paragraphs can simplify the message and present it in a more digestible way. Choose the number of elements with a purpose in mind. One, two, three or four: each sends a secret message to the reader. The number of elements or examples you use in any given sentence or paragraph sends a message to the reader. To declare something, simply use one element. To divide something, use two elements; this forces a reader to compare and contrast the elements. To encompass your point, use three elements, and this provides a sense of wholeness. To list, compile and expand, use four or more elements. Climb up and down the ladder of abstraction. Learn when to show, when to tell and when to do both. At the bottom of the ladder are specific, concrete words and ideas. As you move up the ladder, you get more into meaning words. Language at the top of the ladder provokes our thinking, but we need language at the bottom to support and help us understand. In other words, asking “Can you give me an example?” will drive you down the ladder, and asking “What does that mean?” drives you up. Learn the difference between reports and stories. Use one to render information, the other to render experience. Reports point you there, while stories put you there. A report is information and conveys the who, what, when, where, why and how. A story creates an experience, with characters, action, chronology, setting, motive and how it happened. Writers can create a report, a story or a combination of both. Combining reports and stories created sympathy and understanding, allowing readers to take in the writing in a different way than one or the other might have offered.